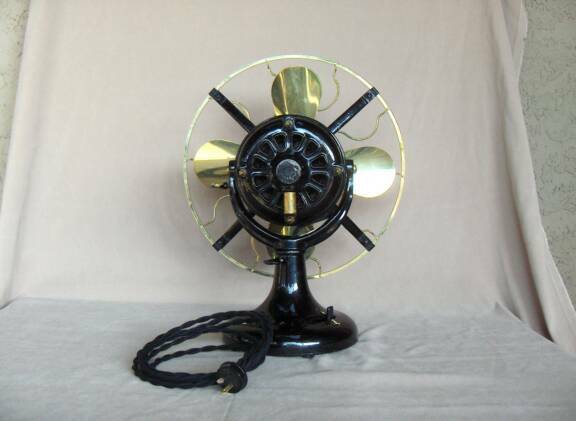 The Vintage Lighting & Fan Shoppe is proud to offer this Westinghouse "Tank Motor" fan, so called by collectors due to its rugged and dependable construction. It was manufactured in 1907. 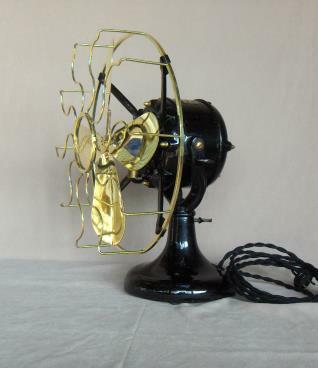 This fan is made of cast iron and brass and is very heavy. 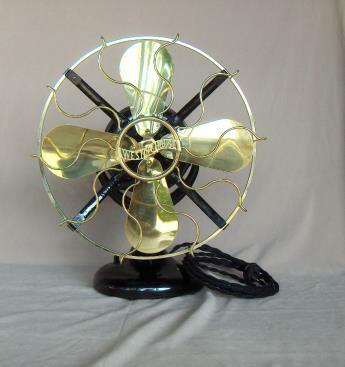 Standing 16" tall, its highly polished brass blades measure 12". The cage measures 13" wide and is also made of brass. This fan features a 2 speed switch in the base. Original paint has been cleaned and polished. All of the brass parts and fittlings have been polished on a buffing wheel. 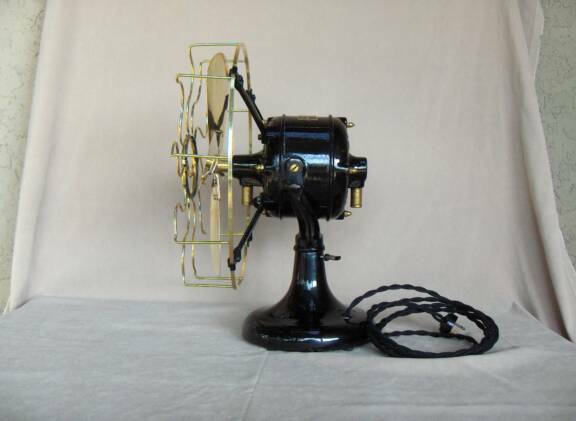 The fan was given a new cloth covered power cord and a new "Old Style" plug. * Shipping charge is for within the continental US only. Other areas, please call us for a shipping quote. (This fan will be partially disassembled to minimze any chance of damage. It will be shipped in 2 boxes...the blade and cage will be shipped together, and the cast iron motor and base will be shipped together). Instruction and assistance will be available for easy reassembly using basic hand tools (slotted screwdriver). Please reserve the next Fan for me.